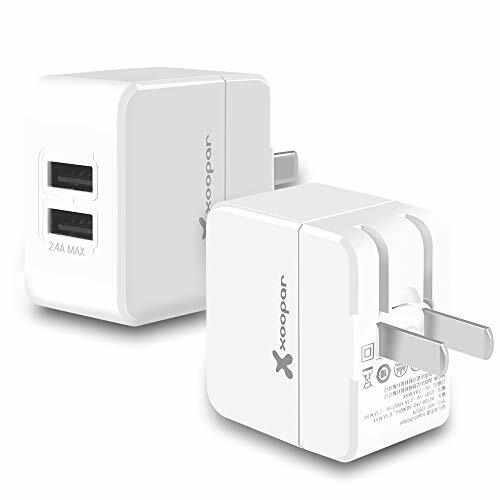 2.4A USB wall charger charge 2 devices such as smart phones, tablets, headphones,ipad, kindle, external battery chargers simultaneously with this dual port USB wall charger. Slim dual USB wall charger will not taking up too much space of your backpack and won't conflict with anything else in a shared backpack. Compact design, foldable plug and international voltage input make PowerPort 2 incredibly portable and ideal for travel-anywhere in the world. It's widely compatible with mobile device, including but not limited to: Phones, Tablets, External Battery Pack, GPS, PSP, PS4 Controller, Bluetooth Speaker/Headphones, Mp3 Players and USB Powered Devices. -Blackberry, Kindle (Fire) and more! (at 5V/1A). This charger does not support Quick Charge 3.0. Devices equipped with Quick Charge, like the Samsung Galaxy series, will charge at normal speeds.